For those who usually drive in bumper to bumper traffic, it might take some getting used to, to seeing seemingly endless plantations, winding roads and not a soul in sight. If you wanted to leave the world behind, you couldn't have chosen a better destination than Coorg for a weekend getaway. And if you wanted to have the finest in the world waiting on you, you can’t choose a better destination than Kadkani. Imagine the picture perfect backdrop of Coorg heightened by the soothing flow of majestic Cauvery, interspersed with myriad of songs of the birds in harmony, whistling winds and whispering palms. 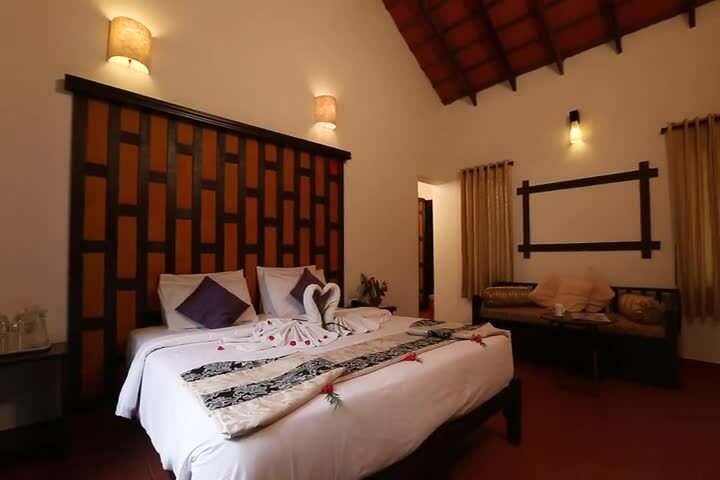 If Coorg is your destination of choice and you love nature and enjoy serenity and look forward to rediscovering yourself and sharing special moments with your family, then Kadkani Riverside Resort is the place to be. Kadkani Riverside Resort captures the magic of Coorg and offers it to you as a serene and lasting experience. It is the only resort with a Golf Academy and provides golf coaching under expert guidance.